We are living at a time where some individuals seem to have tremendous influence over political events, media narratives, and even global philanthropic agendas. However, we know that individuals acting alone – no matter how powerful or charismatic they may be – cannot address the complexity of current social and ecological problems. Our long-term challenges call for comprehensive and collaborative work across sectors, because they are deeply rooted in cultural values, encoded in our institutions, and re-enacted each day through the behaviour of countless people. In the face of their systemic nature, it can be hard to know where to engage on social problems, or how to adapt when change efforts aren’t working. Social Innovation labs offer one promising entry point for collaborative work aimed at the roots of wicked social problems. At their heart, labs offer a structure to use where no one institution or sector can solve a complex challenge alone, and where no single solution or intervention is likely to work. Labs provide a container for ongoing experimentation and learning – so new insights and interventions can be developed, and great ideas from elsewhere can be tested and adapted. When undertaken with the discipline and commitment to achieve implementation, labs can extend their impact to a system level. The J.W. McConnell Family Foundation has been funding and supporting a growing community of labs in Canada for several years (since 2012). Earlier this summer, we convened a group of lab practitioners from The Natural Step’s Energy Futures Lab, l’Institut du Nouveau Monde’s Labis, MaRS Solutions Lab, and WellAhead along with staff, to harvest lessons learned from diverse lab efforts across Canada. These labs work on issues including the acceleration of Alberta’s economic transition away from fossil fuels, the shift to sustainable food systems, the need to connect health issues to social determinants such as access to housing, and proactive approaches to stem the increase of mental health challenges in children. Social Innovation Labs thrive when they ensure the people most affected and those who have the power to make change are part of the process. Labs in general involve phases including: convening representatives of a given system, researching and reframing the systemic roots of problems, identifying promising ideas, prototyping interventions, and then iterating, implementing and scaling the social solutions that are generated. Lab processes gain richness when their diversity of participants are working toward a common goal, but are open to disruptive and innovative approaches for getting there. As Jeori van den Steenhoven from MaRS Solutions lab put it: “The emergence in labs isn’t about the end goal – the emergence is in how you get there.” Labs help participants make connections across siloed parts of a system by sustaining the patience necessary for deeper explorations that can reveal previously unseen possibilities. By testing new approaches that yield unexpected impact, labs can increase people’s courage and appetite to implement systemic solutions. What makes a lab a lab? 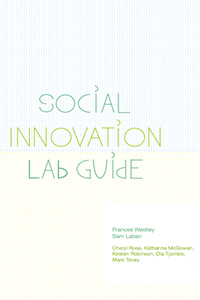 There remains confusion about what a social innovation lab actually is, how different approaches relate to one another, and even out-right ‘allergies’ to the terminology of labs and social innovation, that may act as obstacles to potential allies and participants. It seems fair to say labs are an art, not a science. Practitioners are using wide diversity of methods and frameworks that may be missing one or two of the key ingredients of a lab process, and others are adding new ingredients. Some, such as WellAhead, has chosen to call themselves “lab-inspired” in that they use design thinking, prototyping and other processes, and have an eye to impacting wider system dynamics. The Natural Step are developing whole new type of “Sustainability Transition Lab” adding strong sustainability backcasting processes that bound the conversation according to the earth’s carrying capacity. Some people may want the generic “10 Easy Steps to a Lab Process”. 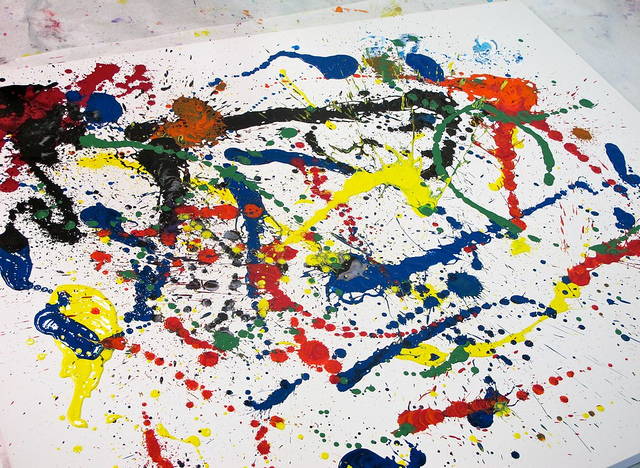 However, once practitioners are in the thick of it, they find the design is adaptive and nuanced, and the practice involves following sparks, and looking for opportunities to navigate for maximum impact. In our discussions, we landed on the idea that defining a lab might be better suited to a “min specs” approach – where labs are understood to contain core elements, but may differ significantly in design in other respects. Who participates in labs is critical, and labs are using diverse recruitment and engagement approaches – from the “mass participation” ethos of WellAhead, to the more selective fellowship model in the Energy Futures Lab where people apply and commit time and money to participate. The theme of engagement beyond the lab boundaries also came up for many lab practitioners – both lessons around how to manage communications with the public while lab experimentation is ongoing, and how to engage the wider system during implementation phases. Participant makeup can also shift as prototypes develop that may require new people and perspectives to be included in the lab process. As labs evolve, there is a need to pivot their framing, activities and communication strategies. The Energy Futures Lab shares a new blog here about their learning, evaluation and pivoting experiences. There was strong agreement that for lab practitioners there is a difference between being a neutral process facilitator and a proactive convener. Labs and lab leaders are not neutral about reaching impact goals – instead, they are committed to the social problem they are seeking to transform. Lab leaders actively set the agenda, make substantive decisions about participants and partners, and proactively advance solutions, including policy change initiatives that may emerges from a lab. Several lab representatives expressed that participants were calling for strong vision and leadership from the convening team, from informing content to defining the direction of the lab. Of course, this leads to more questions about balancing participant energy with the vision of the lab conveners and partners, and important considerations about power, inclusion and democratic principles that must be made transparent in any lab process (as with any multi-sector convening). 4) At What Scale Do Lab Interventions Thrive? The WellAhead lab team brought some juicy tensions to our attention – one of them being their ongoing learning around the best scale to work at in order to advance mental and emotional well-being in schools. 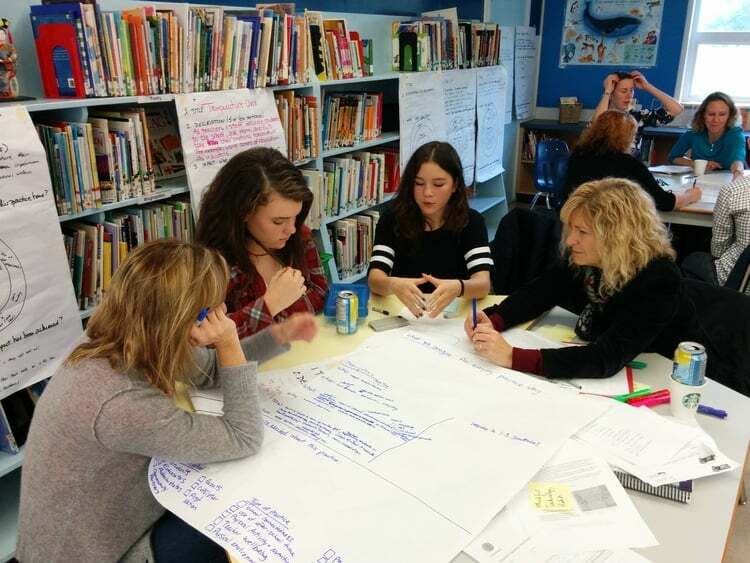 Having framed their initial intervention around mass participation to engage diverse members of the schools and communities in six School Districts in British Columbia, what are the pathways to scale? How does well-being get meaningfully integrated into curriculum and practice at the provincial level, and how can innovative efforts in BC be leveraged to influence work across the country? Part of this is developing proof of concept, and this team is also actively thinking through the challenge of how to get good impact data from the prototypes of different well-being practices, while not burdening time-crunched participants with heavy evaluation processes. 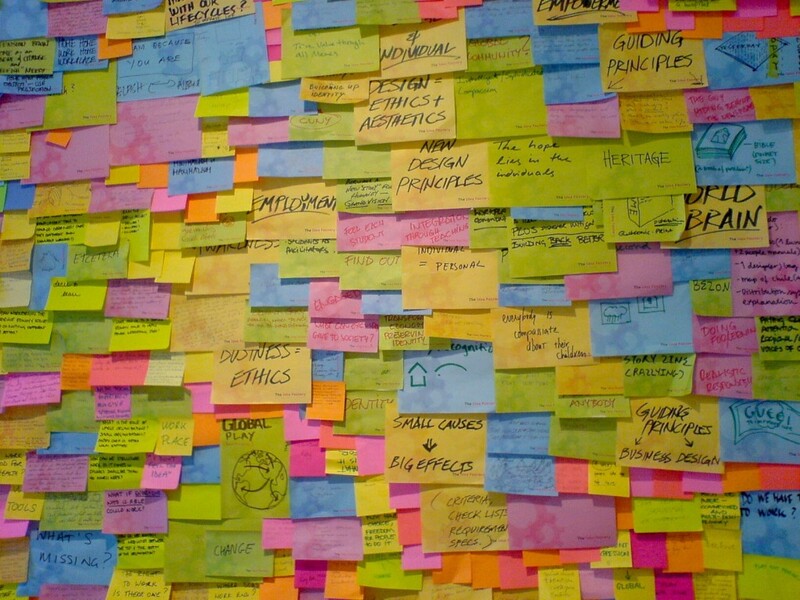 5) What’s Our Optimal Role as a Funder and Supporter of Labs? In the spirit of reflecting on our own impact, the McConnell team also generated some questions to challenge our own practice. These included, “how do we know when a lab is the best process to use, and beware of running around with a hammer, looking for a nail?” Also, as one of the primary funders of social innovation labs in Canada, “how do we support our lab grantees to do the work, while also engaging new financial partners to avoid sole dependency on us to sustain and implement the work?” We will continue to reflect on these questions with our partners and grantees, and evolve our work accordingly. Overall, it’s an exciting time for labs in Canada, as new labs form to tackle issues all across the country. This was not the only recent gathering of lab practitioners in Canada. In June, McConnell Foundation, CityStudio and the Changing Systems Group hosted an event in Vancouver to profile the work of labs in B.C., where McConnell social innovation fellow Cheryl Rose shared the WISIR lab approach. We also announced the LabWise training initiative to support hybrid Government-Community-University labs across Canada. Moving forward, we see possibilities for labs to be used to foster greater social inclusion and resilience in cities across Canada, as well as the growth of government labs such as Alberta’s CoLab, to address some of our most intractable challenges in Canada. The lab ecosystem continues to grow, and with it the community of practitioners who can learn from each other. See Innoweave’s new Introduction to Social Innovation Labs to learn more, and stay tuned for stories coming out of these and other ongoing experiments.